Do you have a project that is beyond the scope of your expertise, or do you have a job that you don’t have the manpower to complete on your own? Guy L. Warden & Sons can provide turnkey solutions to fit your application needs, including design, installation, and project management. 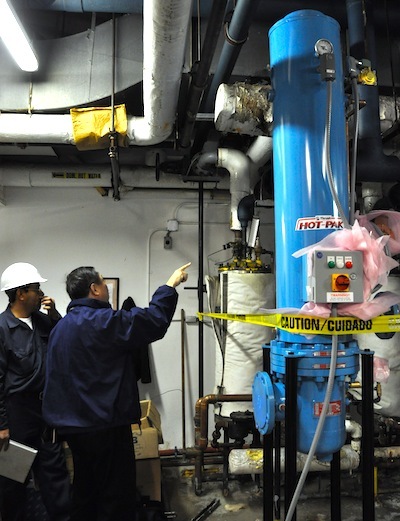 A hotel in the Los Angeles area asked Guy L. Warden & Sons to upgrade its heating system as well as condensate return system to meet its growing needs. This included the domestic hot water, pool heating, and HVAC systems. 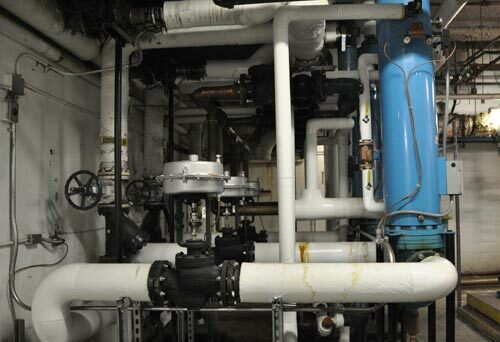 Warden calculated the heating load for the application, chose the equipment to meet the demand, and selected a contractor from its network to complete the installation. During the process Warden oversaw the installation to make sure everything was moving according to plan. 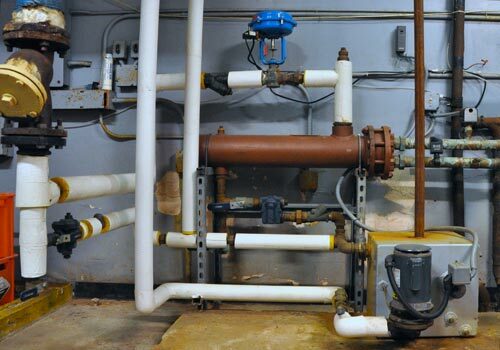 Pool heat exchanger setup with condensate return pump. During the process Warden consulted on the installation details. 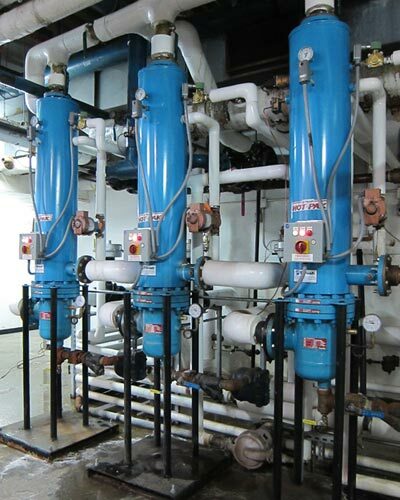 Steam control valves feeding the domestic hot water heat exchangers. Completed heat exchanger setup after two years after install. Warden has done a number of turnkey systems for customers, ranging from hotels and hospital heating to food manufacturing production process. If you are interested in seeing what Warden can do for you, please feel free to contact us.